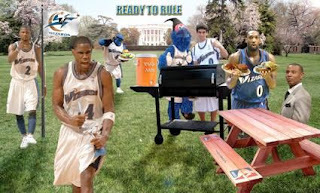 Wizards Blog has declared that the Hibachi contest is over, and supposedly Gilbert hand picked the winner which was this "photo" that was more of a photoshop collage. Really? I think my picture should have won. I didn't even use any computer editing. Its just a straight up photo. You can see it again Here.